Mask dancing is a long-standing traditional practice which has been performed throughout many generations of the Tay and Nung ethnic groups in the northern province of Lang Son. The dance is performed at major festivals including the Long Tong (Gong to the Field) festival, spring fest, and the mid-autumn celebrations. A mask dance troupe, which has 8 to 16 members, is led by young men who hold ‘gay doi’ and ‘tang giao’, two kinds of the Nung people’s weapons. 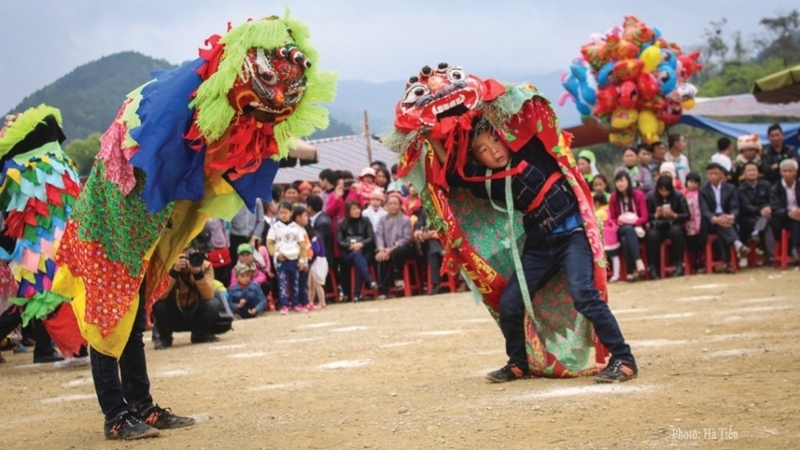 Similar to the lion dance, the performers in the Nung ethnic mask dance wear a big lion head, but it is distinguished with a cat mask. The head is decorated in typical colours including red, black, yellow and green. Hoang Choong, 72, from Tham Me hamlet, Hoang Viet commune, Van Lang district, is the only artisan who can produce the cat-masked lion head. He said that there are different types of the dance: greeting, worshipping, praying for good luck, martial arts, and acrobatic performances. Each type is accompanied by a specific musical tune, guiding the performers as they dance. Tay and Nung people believe that the mask dance can drive away bad luck, while bringing about prosperity and happiness. 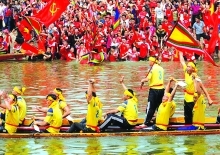 In the spring and festival seasons, if festival goers don’t see the colourful lion heads and hear the rhythmical drum beats, bustling gong sounds, then they haven’t fully enjoyed the exciting festive atmosphere in Lang Son yet. According to local statistics, there are nearly 90 mask dance troupes in Lang Son province with total of approximately 1,000 members. Most of the practitioners are from Cao Loc, Loc Binh, Van Lang and Van Quang district. Since 1992, the Lang Son provincial authorities have paid proper attention to preserving and promoting the indigenous unique art form. Thanks to their efforts, the unique dance was recongised as a national intangible cultural heritage in May 2017. 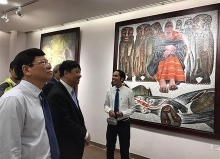 According to Nguyen Phuc Ha, Director Department of Culture, Sports and Tourism, the department will work to develop documents and publish cultural publications on the traditional practice in the future. Further attention will also be paid to teaching younger generation on the dance, and encouraging more participation from organisations and individuals in advertising the cultural heritage to friends at home and abroad.